From the time she was a young girl, Georgia O'Keeffe saw the world in her own way. At night she climbed a ladder to the starlit sky to await the sun. She walked in the hills at daybreak and in moonlight. She gathered bones and rocks, and brought them home to paint. And she always knew what was in her heart--to be an artist. "When I was twelve years old, I knew what I wanted--to be an artist." 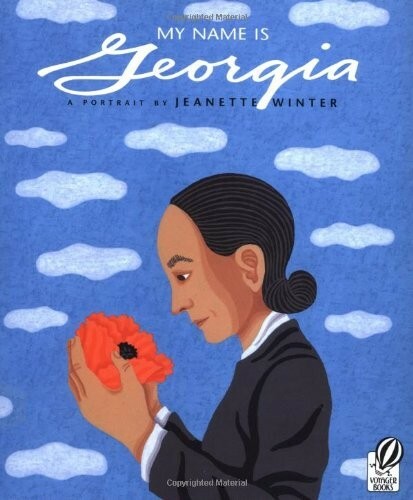 So begins My Name Is Georgia, Jeanette Winter's lovely picture-book portrait of American artist Georgia O'Keeffe. It is a portrait of a strong-minded young girl who liked to play by herself, dress differently from her sisters, and let her black hair fly when others wore braids. And it is the portrait of an artist who lived to be 98 years old, letting the world see things as she saw them through her remarkable paintings. This small book--with sparse, carefully chosen prose--traces O'Keeffe's life through her schooling in Chicago and New York, and her first trek to Texas: "And I painted the sunset and the sky and the wonderful loneliness and emptiness of the place. I painted day and night." 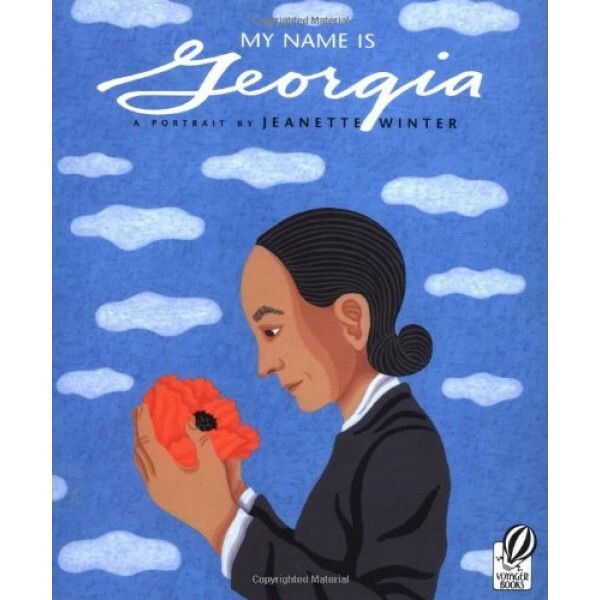 Jeanette Winter has written and illustrated several books for children, including Diego, written by her son Jonah and honored as a New York Times Book Review Best Illustrated Book of the Year.